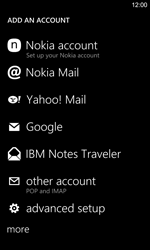 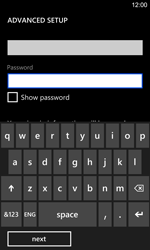 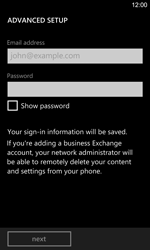 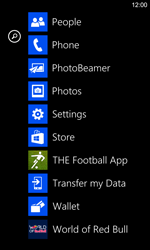 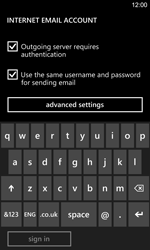 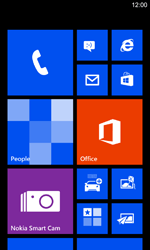 Stay connected by using your Nokia Lumia 925 to send and receive emails. 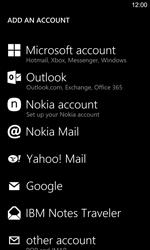 Choose your e-mail provider, or (in this case) scroll down. 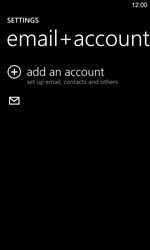 Under Account name, enter [[sp_email_account]]. 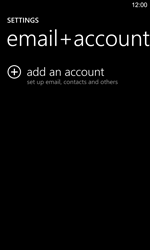 Under Your name, enter [[sp_email_myemailname]]. 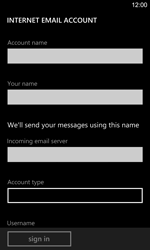 Under Incoming email server, enter [[sp_email_pop]]. 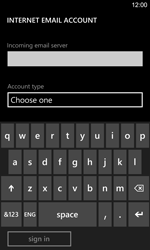 Under Account type, choose the text box, and choose POP3. 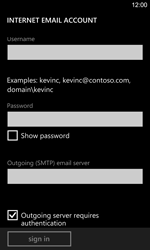 Under Outgoing (SMTP) email server, enter [[sp_email_smtp]]. 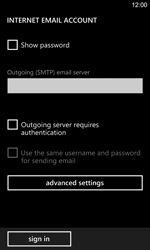 Untick Outgoing server requires authentication if this option is ticked. 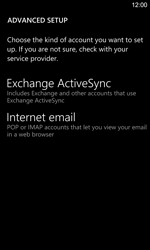 [[sp_email_ssl_pop]] Require SSL for incoming email. 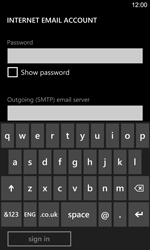 [[sp_email_ssl_smtp_pop]] Require SSL for outgoing email.